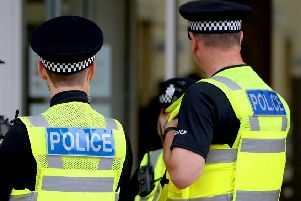 Lincolnshire Police are appealing for information after a criminal damage incident in Horncastle. A Lincolnshire Police spokesman said: “We have received a report of a window being broken at a property on Boston Road, Horncastle. “At approximately 00.00am to 00.30am on Tuesday, January 22, unknown person(s) have lodged a brick through a window of a residential property. • Alternatively, you can call Crime Stoppers anonymously on 0800 555 111.